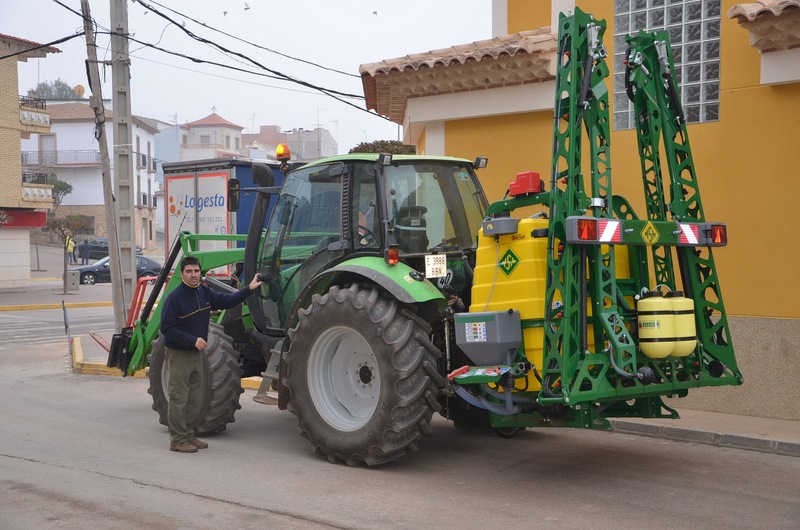 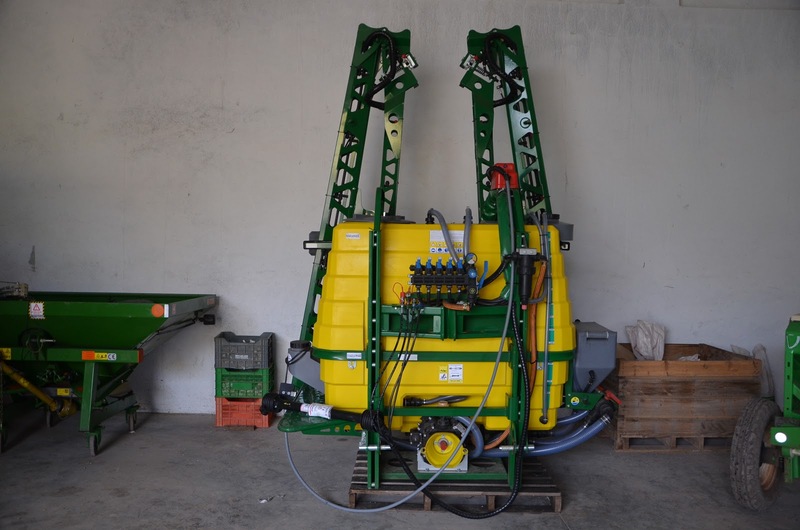 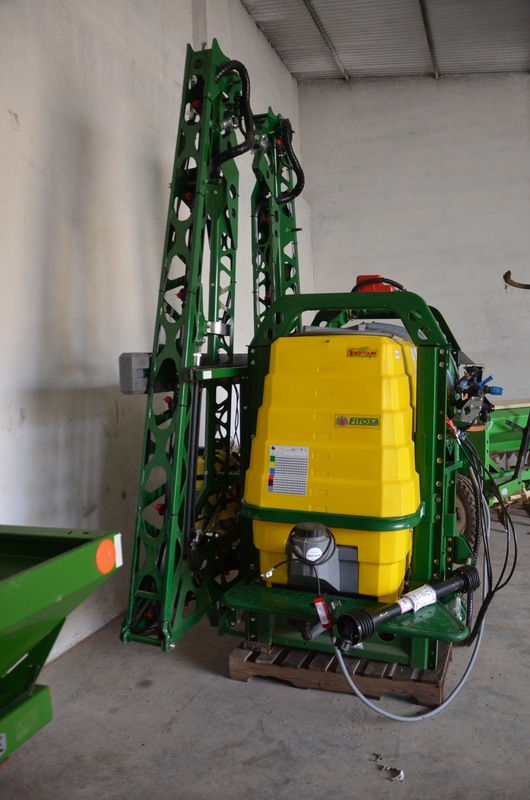 The last weekend, the Marsemar (MSM) dealer delivered our new Fitosa Centauro sprayer. 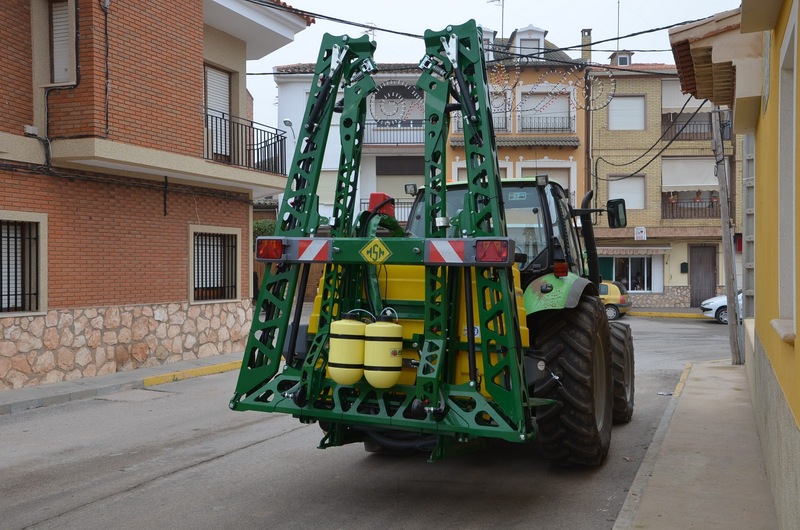 We think Fitosa is one of the best Spanish brand of sprayers and its main features will make our work with garlic and cereals easier. 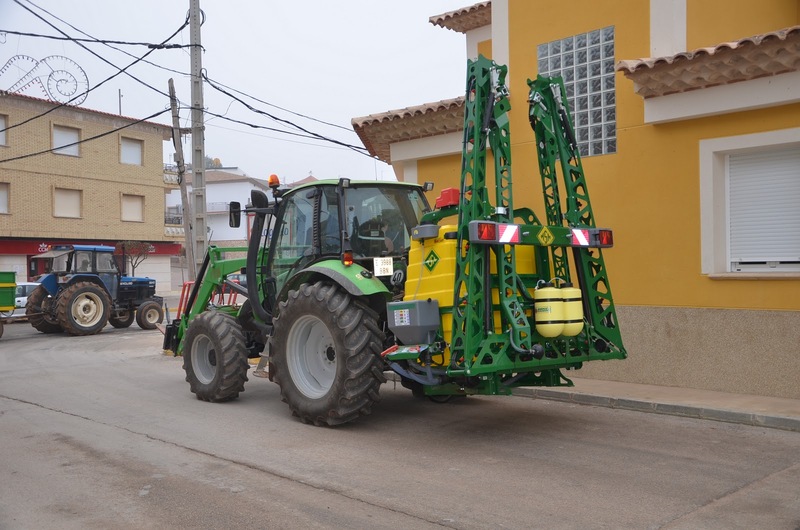 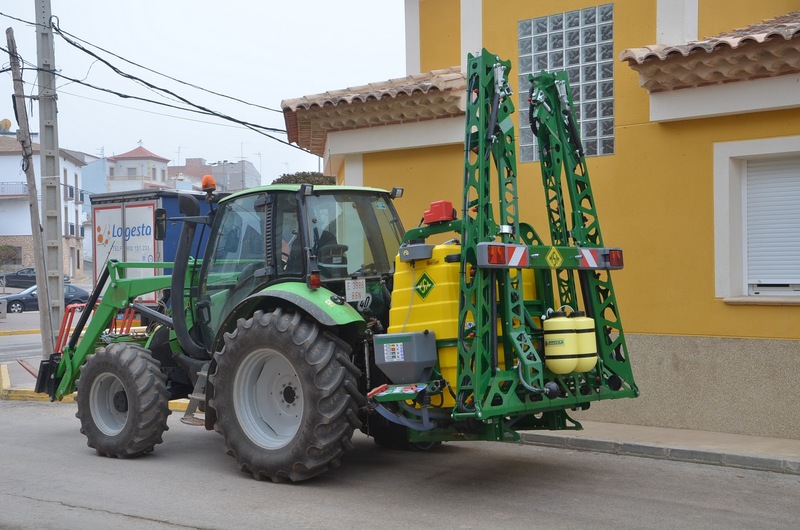 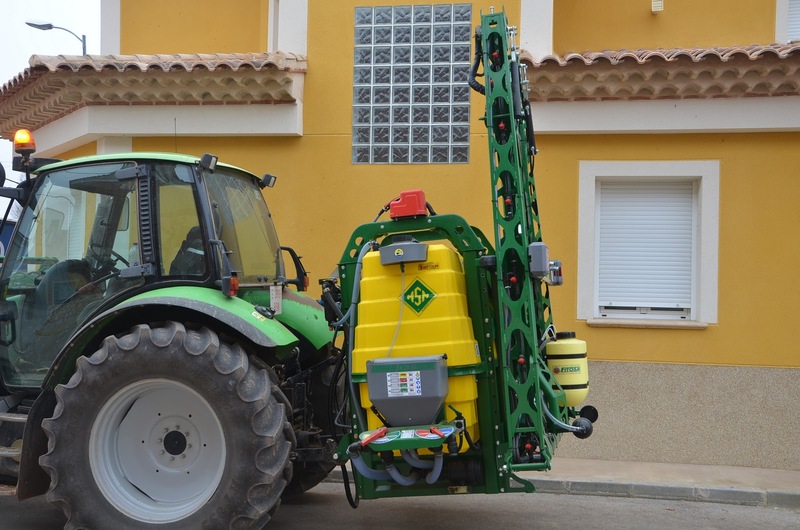 Centauro sprayer highlights are: its excellent design, build and practical use. 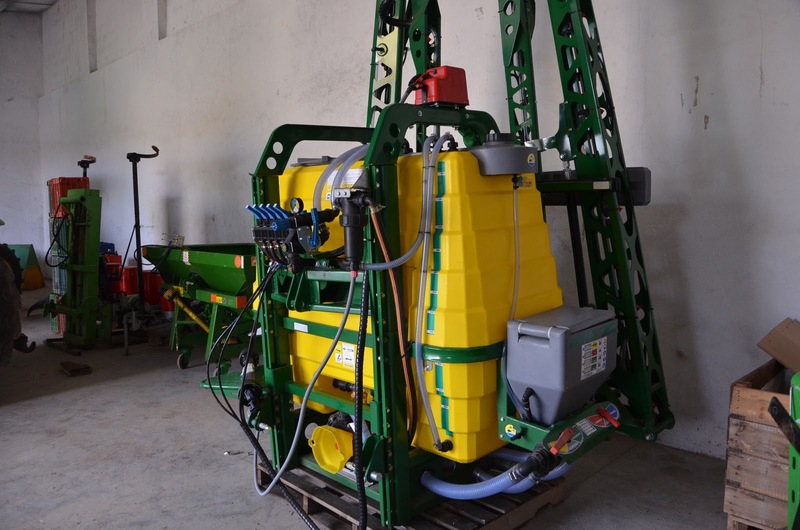 Thanks its main characteristics we take pleasure in its handling and efficient spraying. 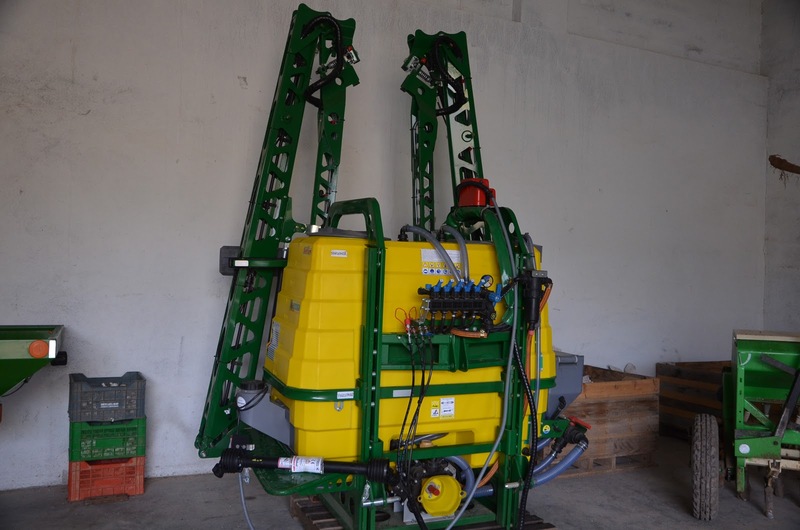 Main tank of 1200 litres: It is made of high density polyethylene. 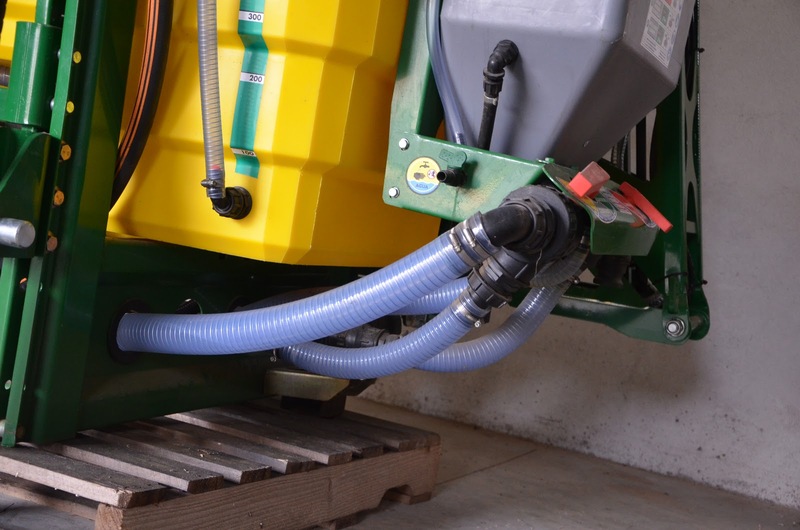 Rinse tanks of 100 litres. 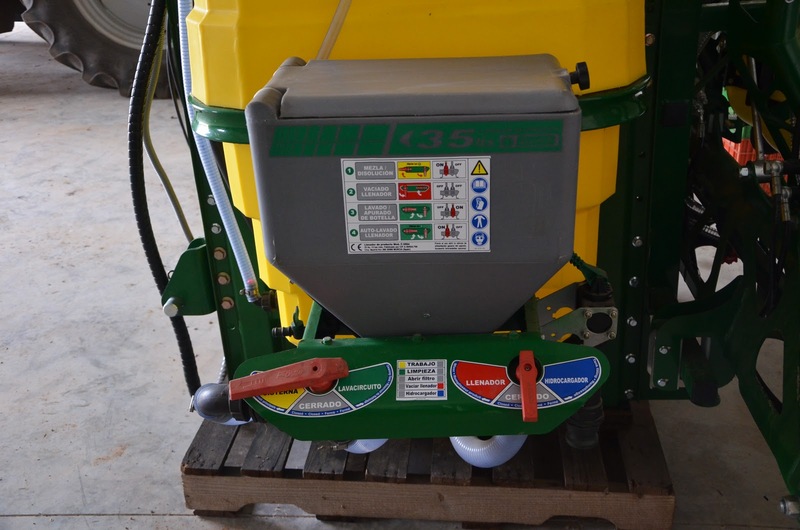 Clean water tank of 15 litres. 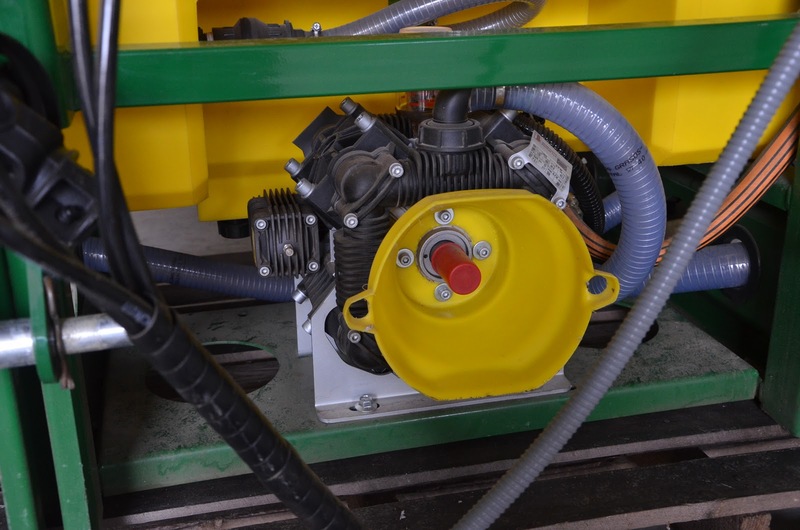 Bertolini Diaphragm Pump of 170 litres/minute. 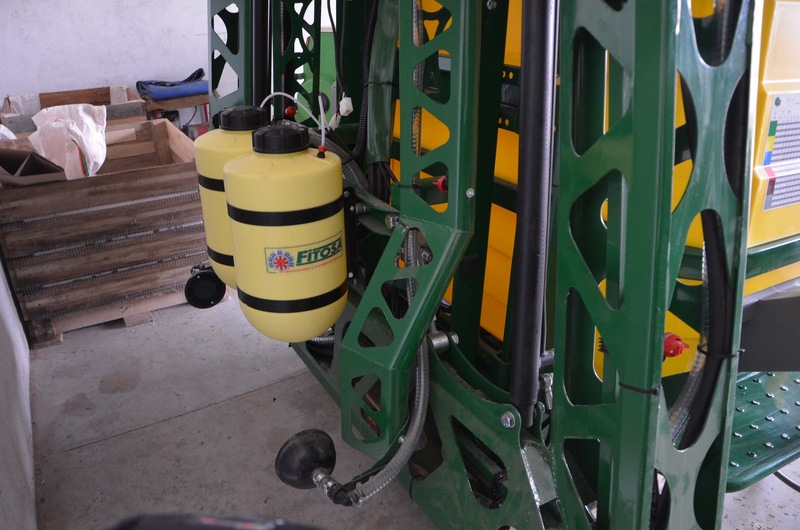 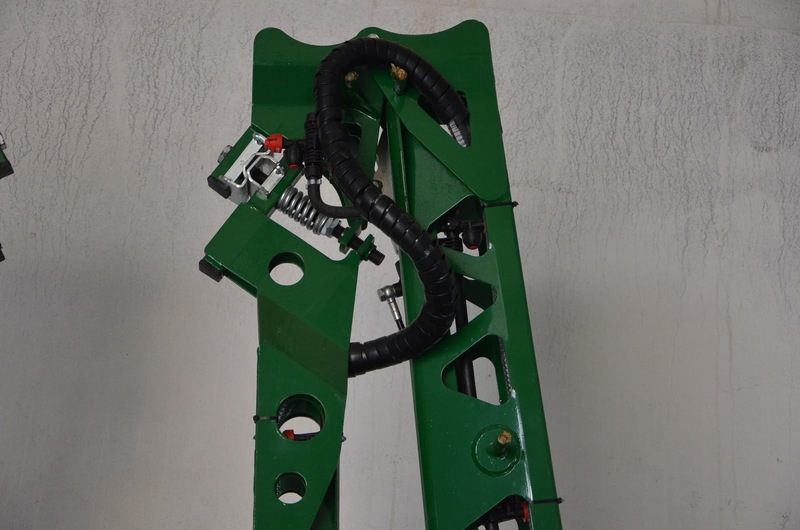 Chassis is made in high tensile steel with powder polymerized at 220°; the basis of a long lasting sprayer. 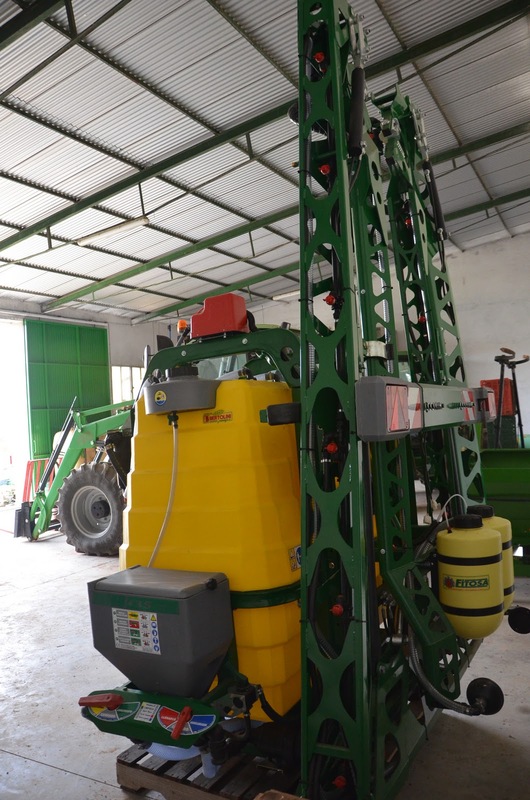 Self-Cleaning Filter and Suction Filter. 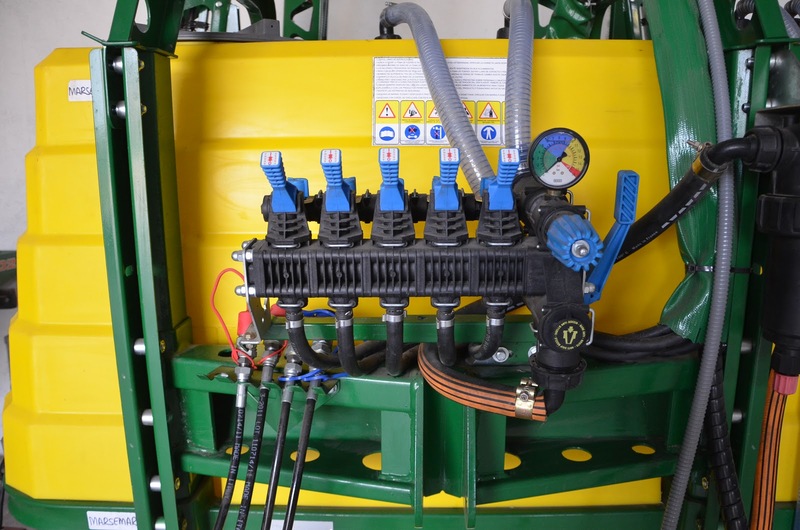 Control Unit - manually operated: Pressure regulator, Valve for pressure agitation, Main ON/OFF valve, Pressure equalisation device, Pressure filter. 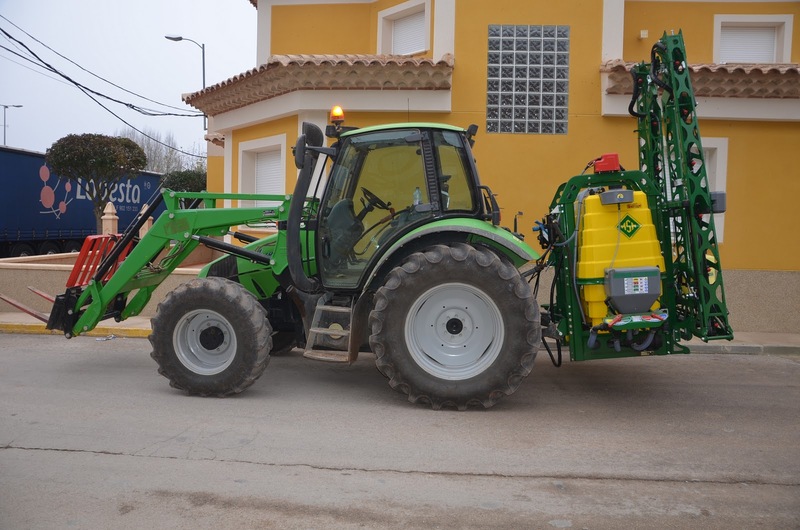 Centauro sprayer ensures a constant application rate regardless of speed variations within the same gear. 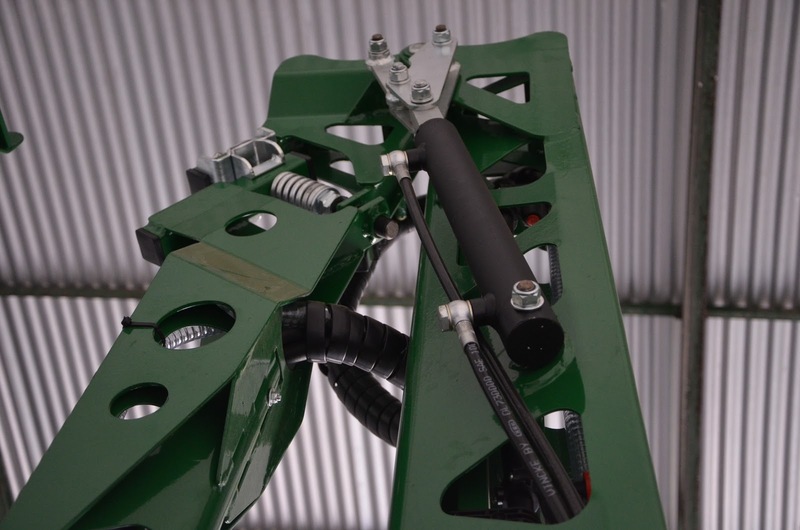 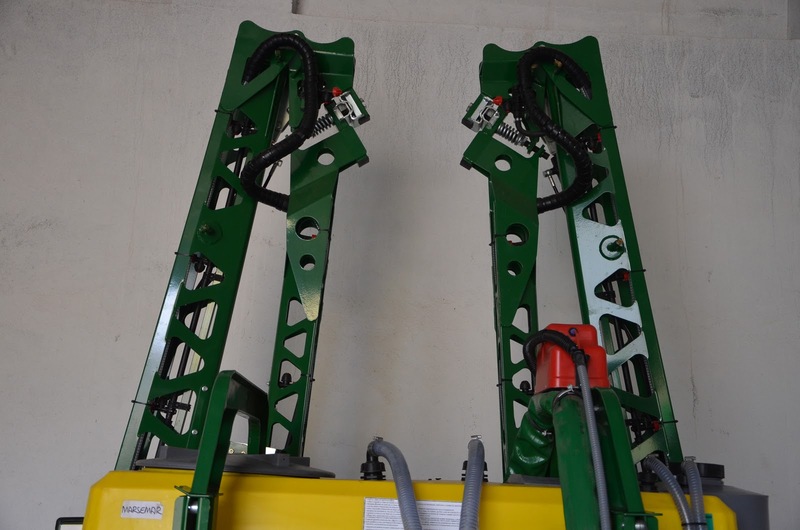 Independent hydraulic legs of 14m with 4 hydraulic cylinders.